Why has May been such a chilly, wet month? 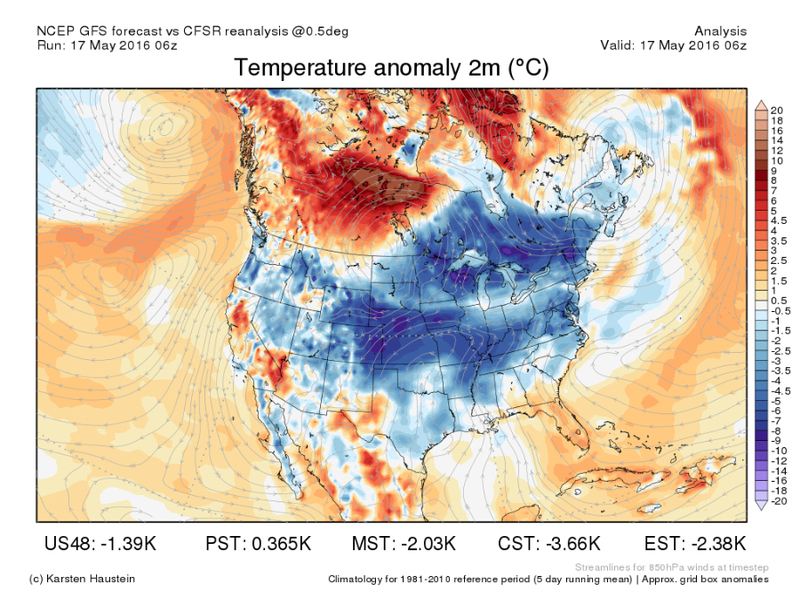 An unusual weather pattern set up about a week ago, and now most of the United States is paying the price with some lousy May weather. The current pattern is affecting nearly everyone in the continental U.S. except for southern California, the southwest corner of Arizona and occasionally Florida. For most of the country, temperatures have been five to ten degrees cooler than usual for the first half of the month, and a lot of places haven't gone more than a few days without a round of rain and thunder. All of this has it feeling more like March than May. First, let's cover the cool temperatures. To find out what's behind the chilly air, we'll need to travel half-way up into the atmosphere, about 18,000 feet, and over the Northern Pacific Ocean just south of Alaska as well as the Northern Atlantic between Maine and Greenland. That's where we'll find a couple of pressure centers blocking the flow of the jet stream and pushing it south. This means most of the country is getting some much cooler air diving southward from the north. Since it takes a week or two for these blocking patterns to break down, don't go tossing that jacket or winter coat to the side just yet. Parts of the Northeast will start to get some relief by the weekend, but the rest of the country will likely have to wait until next week. By that time, parts of the Southwest may begin to feel a little cooler while the rest of the country gets their long-awaited warm-up. 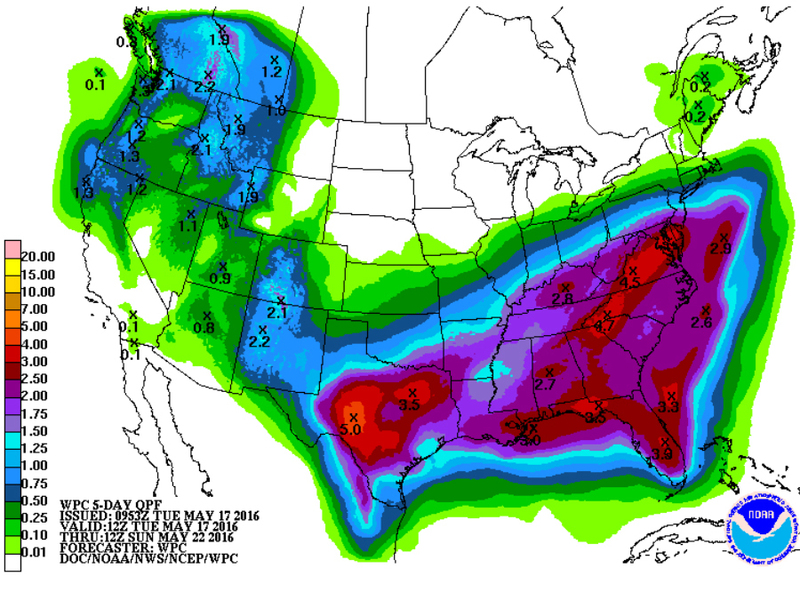 As for the rain and the resulting flooding, that goes hand in hand with the current set-up. As the jet stream digs into the Southwest, this creates rotation in the atmosphere that makes for prime storm development conditions. Most of the storms in the last week have formed in that region before traveling across the Plains and into the Midwest, Southeast or into the Northeast. Until this pattern breaks down, we're stuck in the doldrums of May. The good news is we're nearing the end of this current stretch of weather, and we'll begin to see weather more akin to late May during the final week of the month.